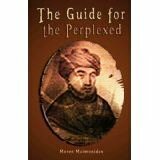 Maimonides (1138-1204), was the rationalist par excellence, the greatest Jewish thinker. Yet neither his son Abraham nor grandson Obadyah, who wrote this book, nor any of his descendants, shared his worldview or his genius. They were mystics. The failure of children to be like their parents is well known. The Bible recognizes it. All three biblical patriarchs, Abraham, Isaac, and Jacob, had children who disappointed them. Jacob even criticized three of his sons on his death bed. Tradition states that Moses’ two sons did not follow his teachings. This volume contains the views of Maimonides’ grandson Obadyah (1228-1265) who accepted and followed the mystical notions of the Muslim Sufis. 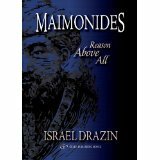 Maimonides’ descendants were not unique in absorbing non-Jewish teachings. Many Jews think that the views expressed by their rabbis and the books the rabbis wrote, especially the classics, express pure Judaism, but they are wrong; many of these classics teach Muslim and Christian ideas. Dr. Paul Felton, the editor, translator, and commentator of this volume, makes it clear that Sufi influence can be found in the writings of prominent Jews, such as Yehudah Halevi (1075-1141) and Solomon ibn Gabirol (1021-1070). The famous Jewish book on spirituality and piety, the Duties of the Hearts, by Bachya ibn Paquda, composed around 1040, a book that rabbis encourage their students to read in rabbinical schools, is a “spiritual theology based almost entirely on Sufi pietistic manuals.” Bachya ignored Jewish sources and taught the Sufi mystical ideas about contemplation, isolation, and love of and union with God. There is nothing wrong in learning from non-Jews and accepting their teachings. The Babylonian Talmud, Megillah 16a, states: “He who pronounces a word of wisdom, even of non-Jews, is called a wise man.” Moses Maimonides wrote: “The truth is the truth no matter what its source.” The problem is the acceptance of notions that are not true. Maimonides would have rejected the Sufi teachings of his son Abraham (1186-1237) and Abraham’s son Obadyah as nonsense. Maimonides taught that the goal of life is to live a life based on reason within society, not in isolation; that the Torah prompts people to know the truth and improve themselves and society. His descendants, in contrast, understood that life’s goal is being holy, pious, and humble, and having union with God. What were the practices of these pietistic Sufi-Jews? Obadyah’s Treatise of the Pool is his manual of the path a pious person should take to attain the spiritual life. Pious Jews, he and the other Sufi-influenced Jews taught, washed hands and feet before prayers. The prostrated, kneeled, spread their hands, turned up their palms, and wept during prayers. They stressed the value of fasting. They said that Jews should spend their first forty years developing their piety and only marry after age forty. (Since Obadyah died before reaching forty, he probably never married and had no children.) The human body, they said, is the obstacle to perfection, therefore it must be purified. When people indulge in worldly needs, they severe their bonds with God. The heart is like a pool that must be cleansed of all but God. People must shun superfluities and be content with what is necessary. They should speak and eat little, reduce sleep, think constantly of God, practice purity, and engage in prayer. Many of these practices with small modifications have become popular among many Jews today. But Obadyah did not abandon Maimonides’ philosophy entirely. He agreed with his grandfather that people should strive to know the truth. They should study physics and metaphysics, indeed all of the sciences, because they contain the truth. In summary, while Maimonides was a rationalist, his descendants, beginning with his son, were influenced by Sufi mysticism, ideas and behaviors that Maimonides rejected, ideas and behaviors that many Jews adopted. Maimonides’ descendants accepted his teaching that people must study the sciences and develop their reasoning ability, but felt that the ultimate human goal is a mystical union with God which can only be achieved by isolation, piety, and avoiding anything associated with the human body.